The Granada Theatre is an exquisite historic theater located in the heart of downtown Santa Barbara. The beautifully restored theater consists of an opulent 1,500 seat performance hall, a gorgeous banquet room and open and warmly decorated lobbies. 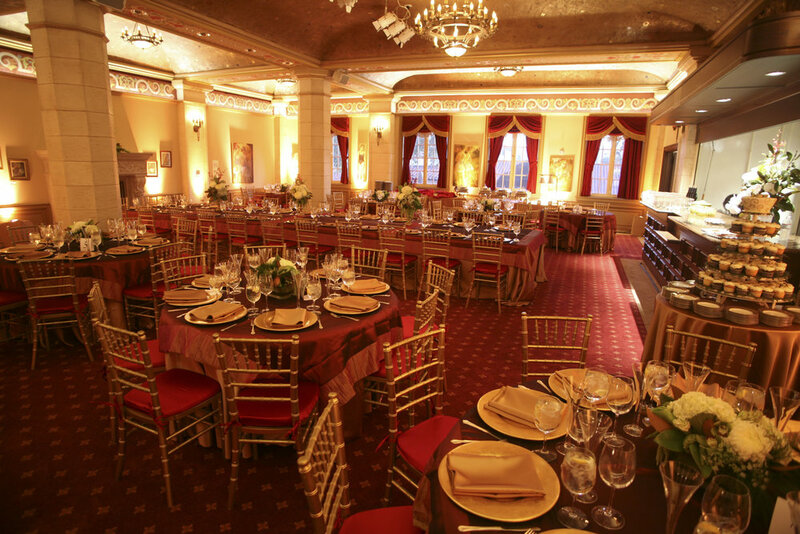 The McCune Founders Room, with its rich burgundy and gold décor, can accommodate up to 120 guests for a seated dinner, and 200 for a standing reception. The first floor lobby also makes an elegant site for a cocktail reception. The main stage can accommodate 220 guests for a seated dinner. With a dramatic view of the magnificent performance hall, specialized lighting, and a stage crew that is ready to handle even the most exotic requests, this is truly one of the most unique and spectacular locations in Santa Barbara. 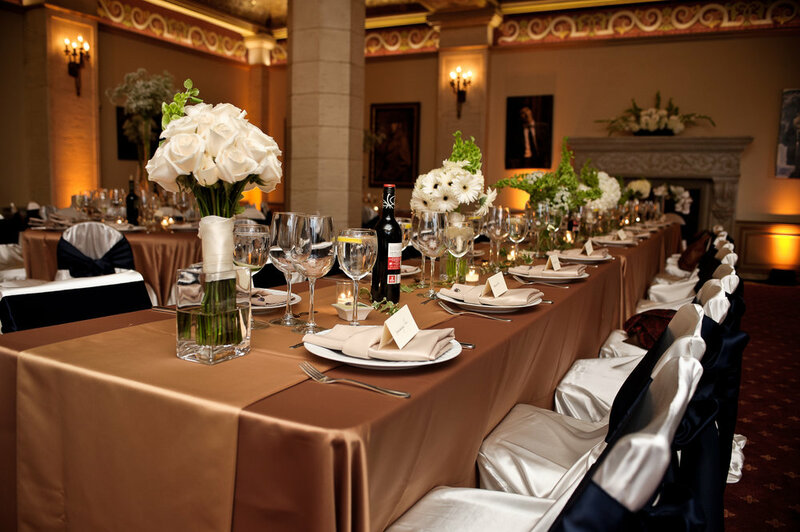 Whether you’re planning an intimate reception or an elaborate affair, the Granada Theatre is a truly an exceptional venue to host your special day. Raise the curtain on your extraordinary event. Your email to The Granada Theatre has been sent and they will get back to you shortly.